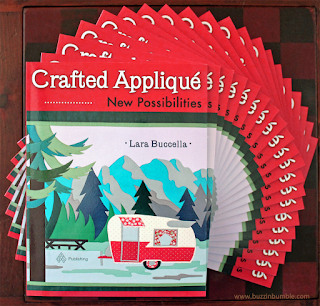 First, Congratulations to Mama Spark you are the winner of Lara's Crafted Applique Book! Next, tomorrow stop by and share your Electric Quilt patterns and quilts/projects made at T.A. 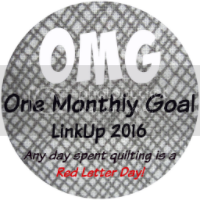 Finally, I hope you've marked your calendar for the June 1st sign-ups as you think about joining us for our I-Spy Swap here at Val's Quilting Studio!! Click the picture below to get a peek at the details. I've had so much fun sewing these I-Spy blocks together for my H2H Happy Chemo quilt. This quilt measures 53" by 56" and was made with 240 4" I-Spy squares. 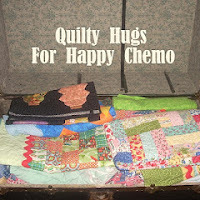 After reading that Emily's Happy Chemo quilts will be going to the Rat Pack organization, their main focus is helping those fight breast cancer. They will fill their Love Handle Bags with our donations, so I knew this breast Cancer Ribbon quilting and flannel backing were the perfect finishing touches for my quilty donation. June 1st sign-ups for our I-Spy Swap begin! Help me spread the word! This will be a double swap...meaning with a maximum of 36 "swap spots" available, you'll be able to sign-up for a maximum of two regular swap spots if you want...but the fabrics for each swap will need to be different. Okay...Happy collecting!! This week's theme will be: EQ Designs. I love Saturdays especially during the Spring. Today we headed out early for my elementary school's Annual "Catch the Teach" Fun Run!! Here's a pic of me with my cooperating teacher & our "quick" second graders that showed up for the event. back and "walk in" with me! We enjoyed our walk, reminiscing over our past four years of teaching together, as this marked our last race together. Yep, my partner is transferring to a teaching position at the high school and though I'm selfishly sad and really going to miss our teaming, it's a good move for him professionally and as the football and baseball coach he already is at the high school. Just makes me sad. I hate missing people, don't you? And it doesn't help that our district leaders have literally taken our whole administrative staff, at every level and has practically moved everyone around! On top of that, eighty percent of our primary staff is leaving for a variety of personal reasons, and that leaves me alone with a whole new set of administrators and teachers next year. (Darn it! I'm going to have to start acting all professional again! LOL!) Seriously though, there literally doesn't seem like a day goes by that I don't walk out my classroom door into what feels like a whirlwind of craziness going on around me. Yet, as this May wraps up my 27th year of teaching, I know change in inevitable and that new opportunities of growth are right around the corner. But, for now I'm just going to feel sad as I celebrate and say goodbye to a number of people who have been a wonderful part of life this past five years and look forward to a rejuvenating summer with family. 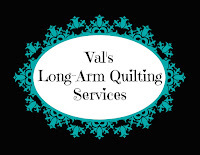 PS: On a happier note: Don't forget Sign-ups for the summer I-Spy Swap here at Val's Quilting Studio opens June 1st!! Click the picture below to get a peek. I hope ya join us. This applique project had moved to the top of summer sewing list because with Lara's Crafted Applique Method, tackling those WELCOME letters will be easy! Looking at the Fig 3, you can see why I'm not dreading all the curves and thin pieces in my letters as with Lara's Crafted Applique Method, I'm confident they will come out as smooth and clean as her Oak leaves....with no frayed edges! As you can see in her Table of Contents, Lara explains the process in easy to follow steps and I was able to gather the supplies I didn't have on hand at JoAnne's for under $8.00. 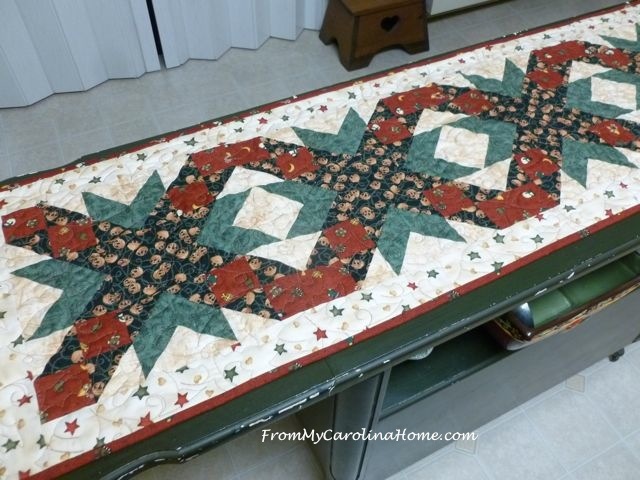 in her book like this adorable Catmint Cottage sewing machine cover! It's so cute! Anndd, if you are like me, and avoid small pieces, thin stems, and yes, letters in your applique, we don't have to anymore!!! Thank you Lara for sharing your ingenious idea that really does create new possibilities and for letting me give-away one of your books right here on my blog! Yep! Leave a comment sharing what you look forward to most about Summer and I'll be announcing the winner later this week. Click HERE to follow Lara's Book Release blog hop and enjoy others preview of her book as well. And if you can't wait, Lara's book is available on Amazon. Click right HERE to get your copy today. Congratulations Lara!